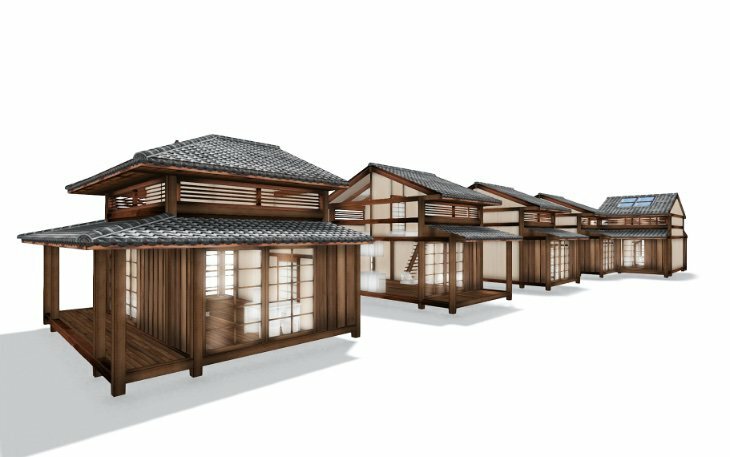 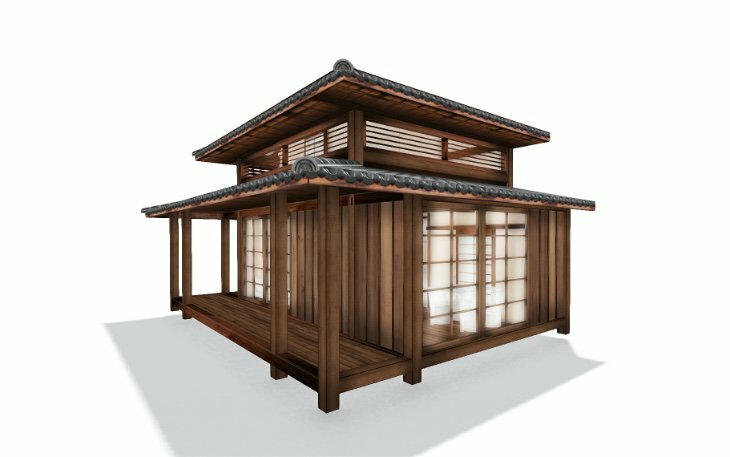 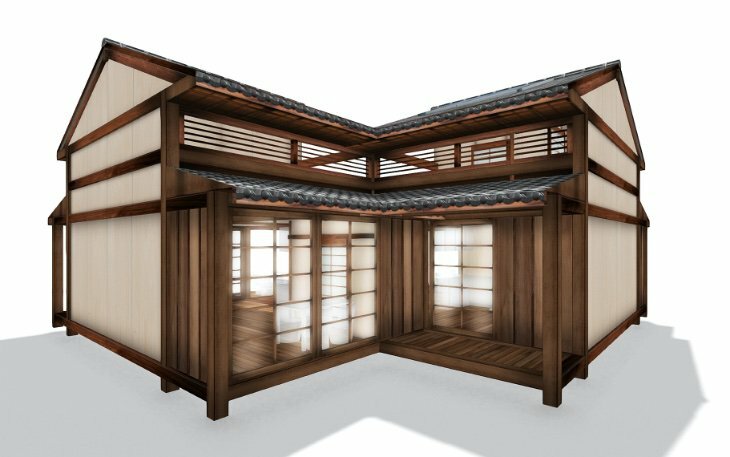 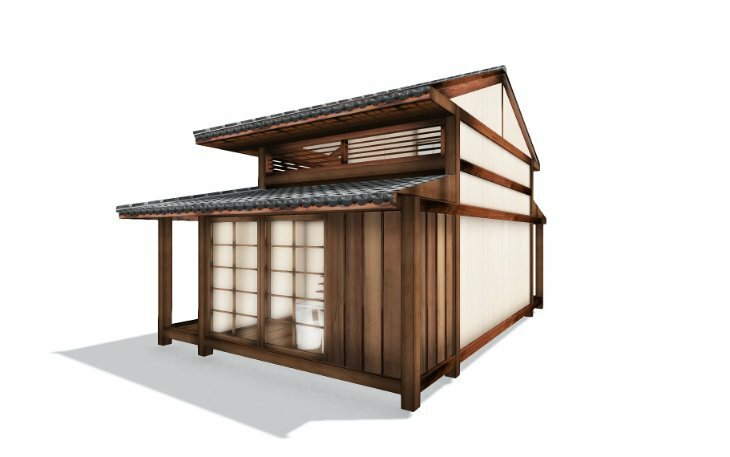 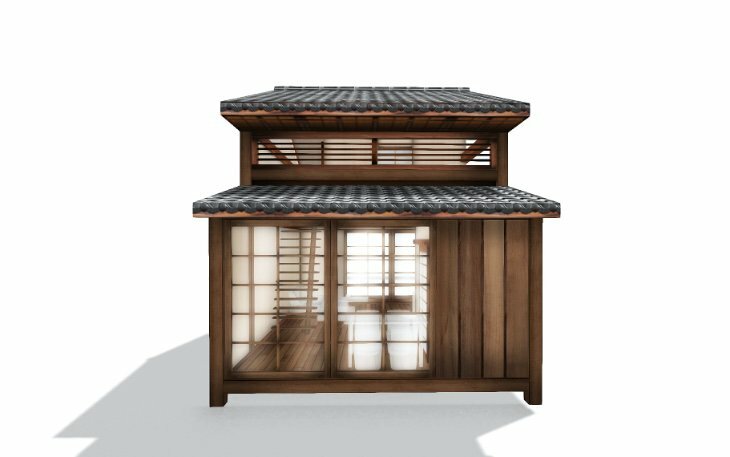 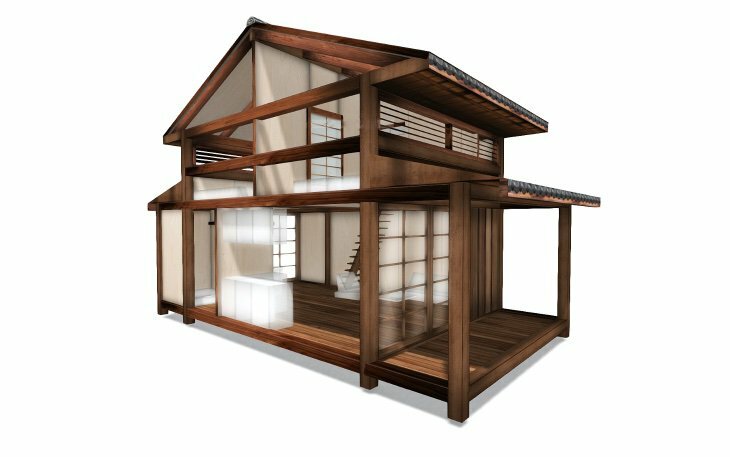 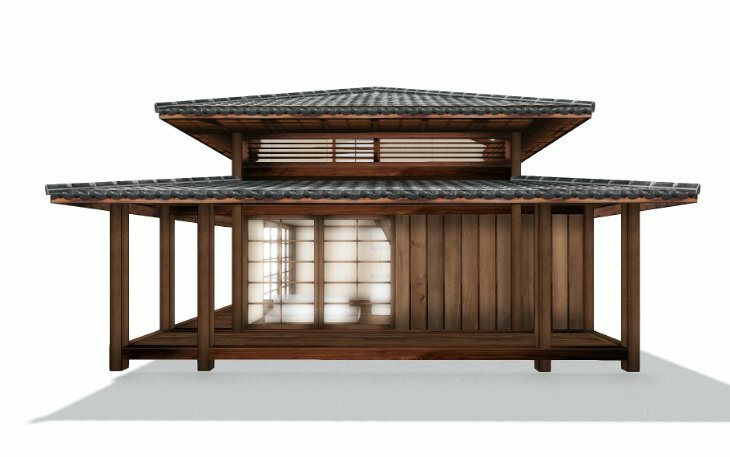 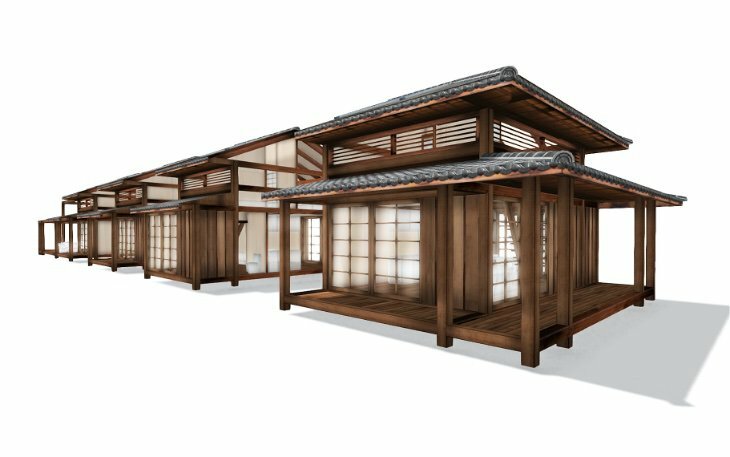 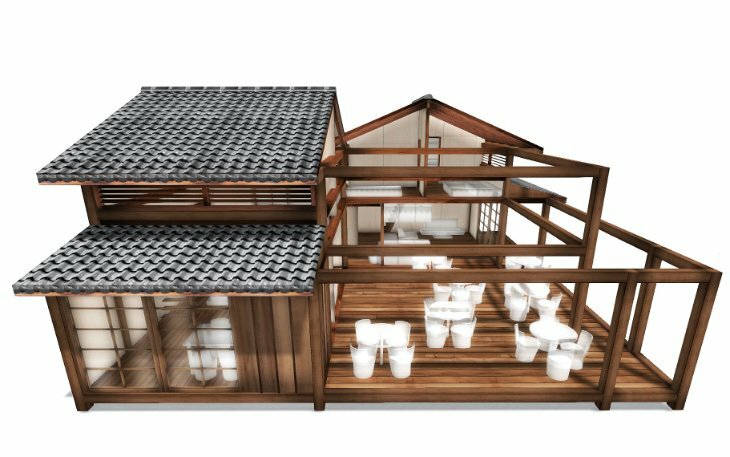 Sketches and designs for our Japanese style 'Bessou', "holiday house" or bungalow range. 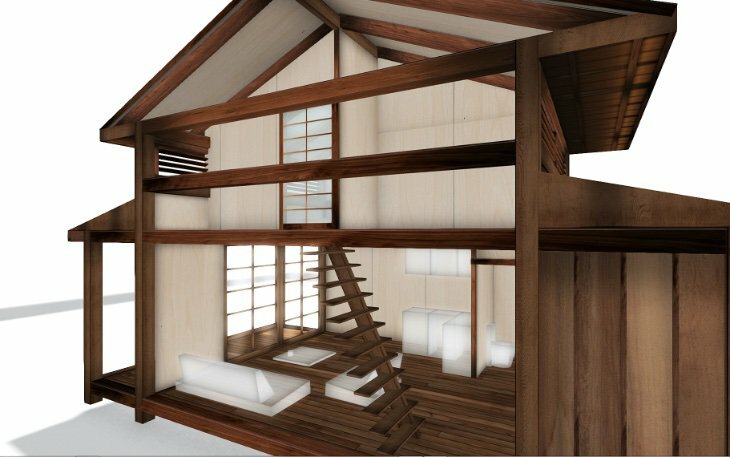 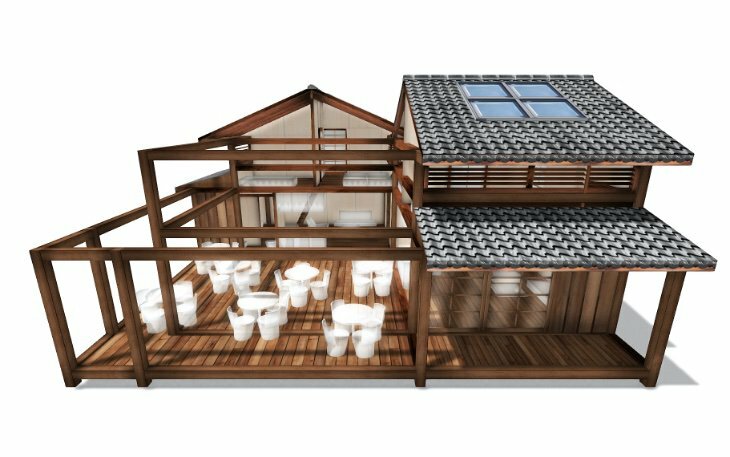 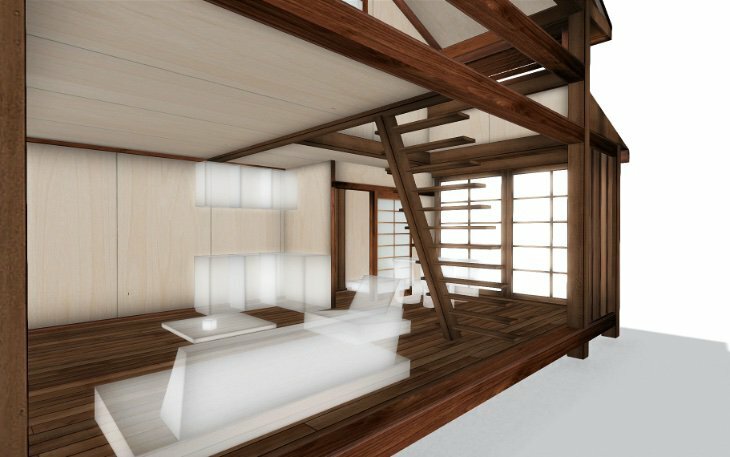 The design is roughly based on our modular Japanese 'Zenkei' country house. 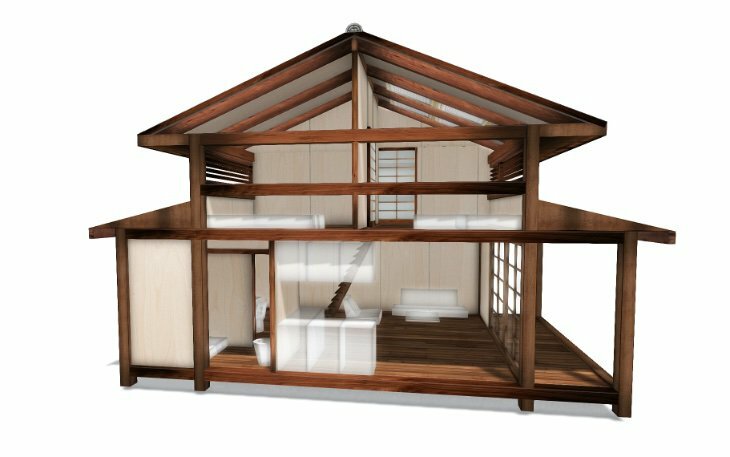 The units measure 5 x 9 mtr. 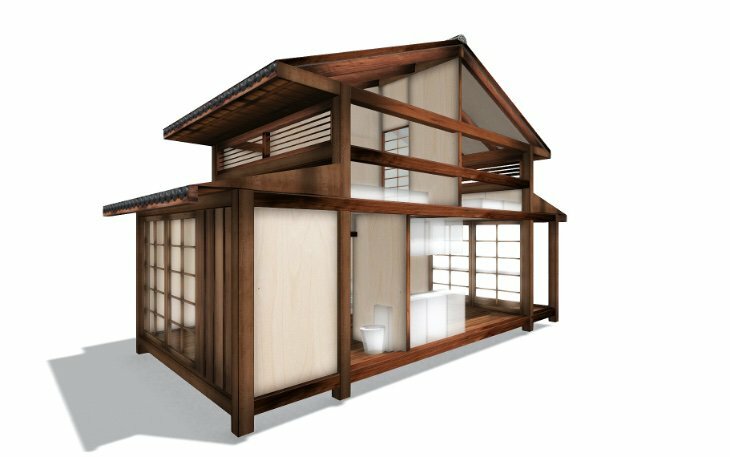 in size and contain 2 bedrooms, a toilet, shower and a small kitchen. 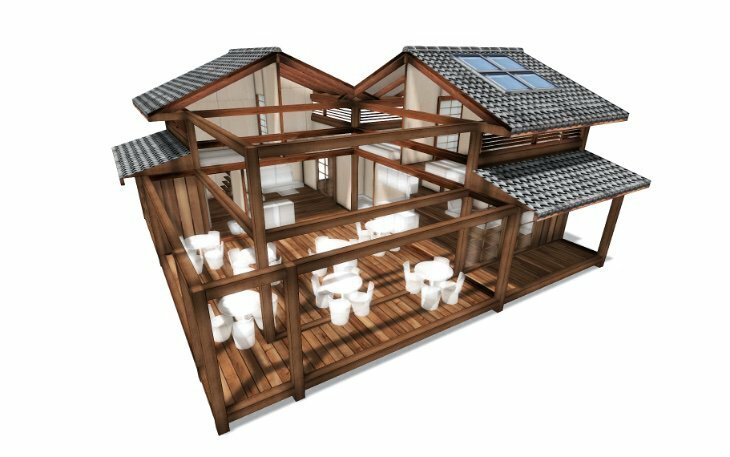 The Brasil project consists of an 'L' shaped building with 4 units on each wing and a central space for breakfast and dinner. 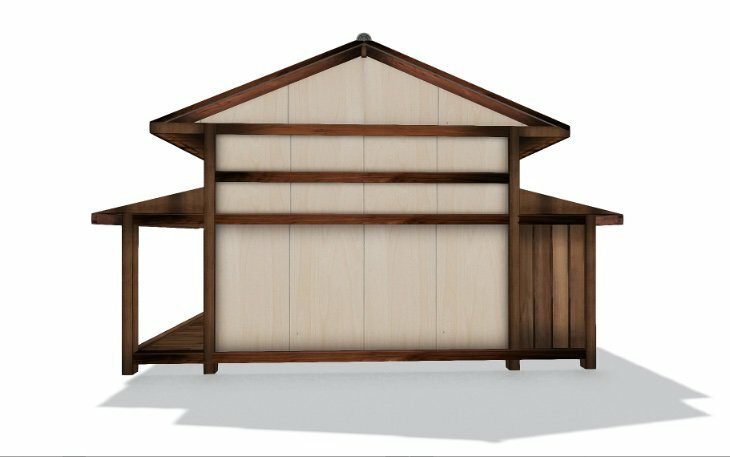 The total size of the building will be around 27 x 27 mtr. 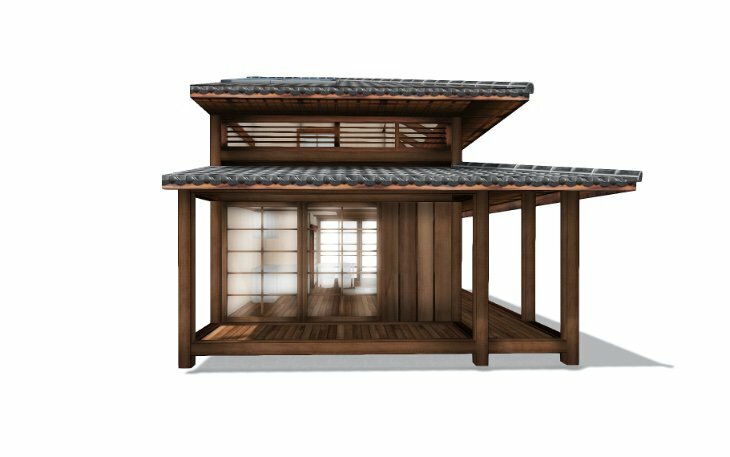 Because of the modular design of the 'Bessou' it will be very easy to add additional units to the building or even build a structure with multiple corners, in, for example a 'Z' shape. 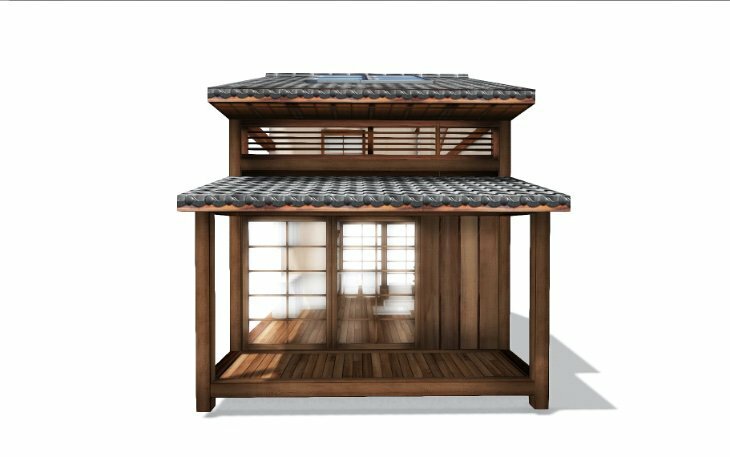 The 'Bessou' design is ideal for recreational purposes in small and big recreation parks.